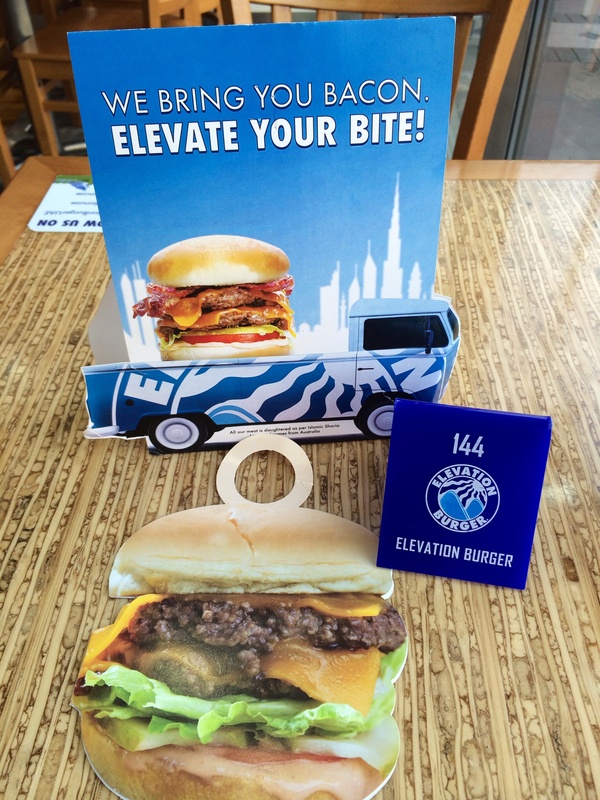 Elevation Burger is conveniently located outside Al Ghurair Centre, just opposite the outdoor car park. 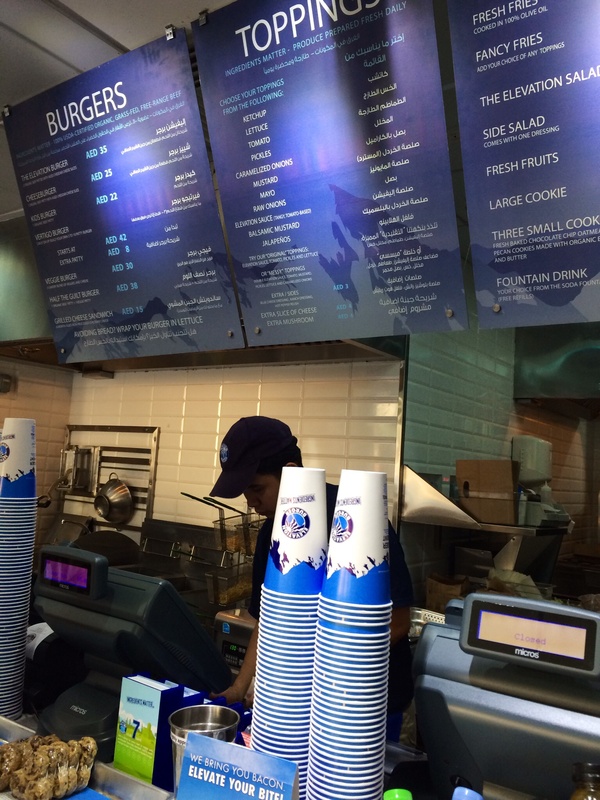 The place stands out because of it’s blue and white theme which gives it a really cool and fresh vibe. Upon presenting our vouchers, their friendly pinoy staff let us choose which toppings we wanted to add. I asked them to put everything except tomatoes. And since we prefer our food ‘hot’, we also asked for extra jalapenos! sszzz! 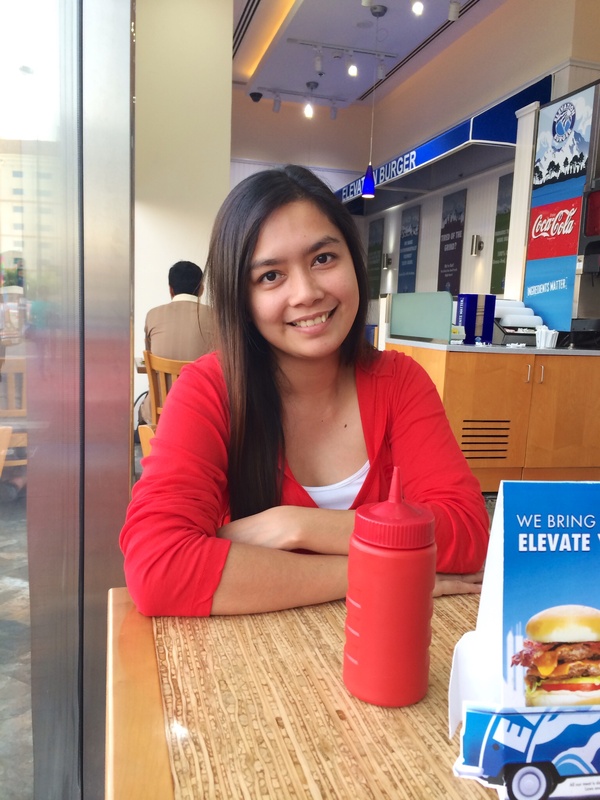 of course, with my equally excited food trip buddy. 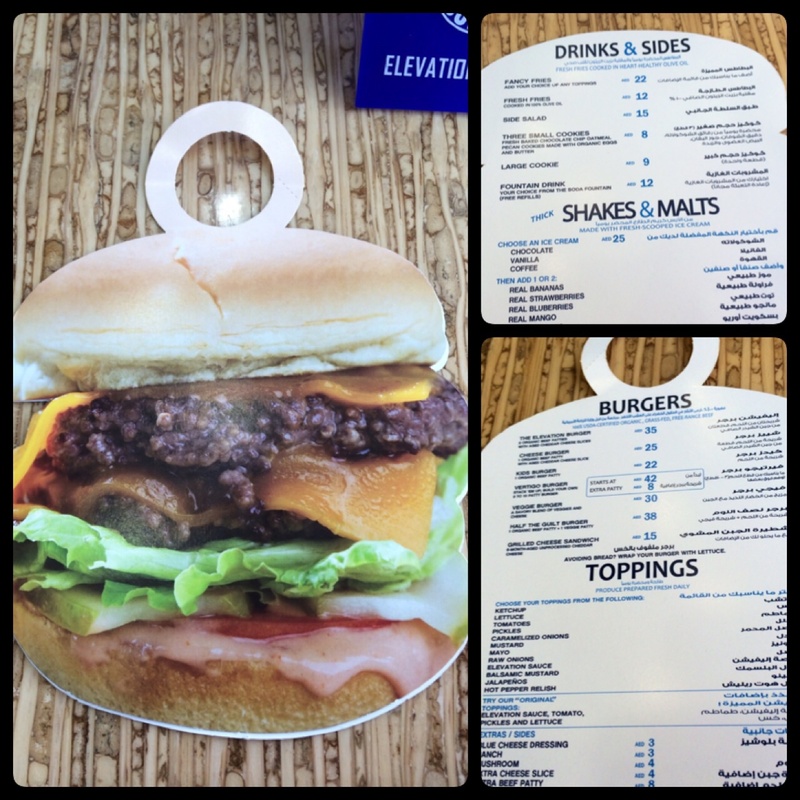 Finally, our burgers arrived on our table. As soon as I took my first bite, I was IMPRESSED. 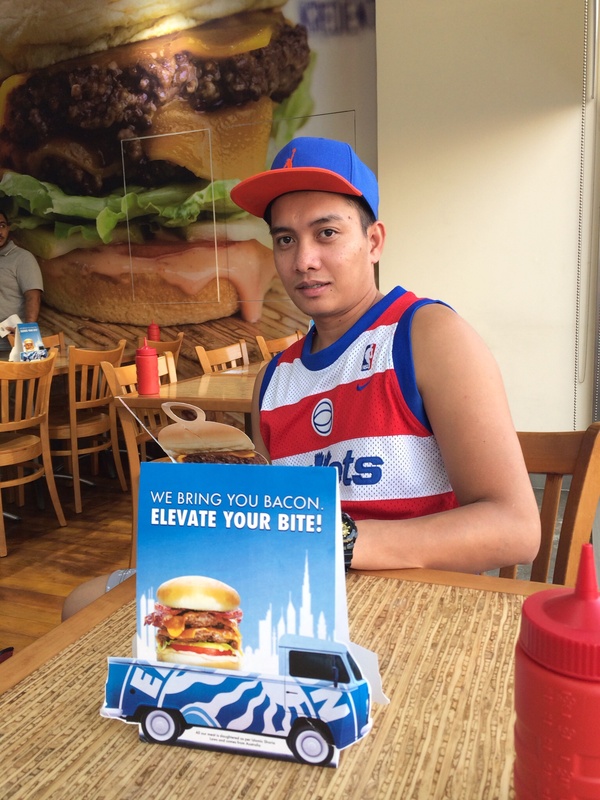 See, I’m not really into burgers so I don’t have the authority to pick which food chain offers the best burger in town. 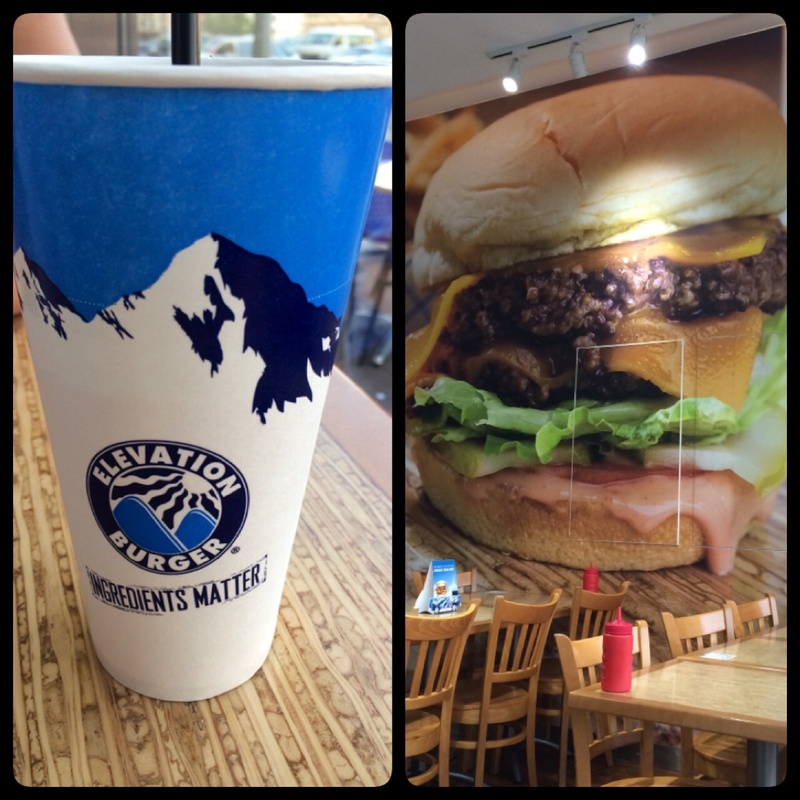 But I’m telling you, Elevation Burger is a must try. It’s the most memorable burger I’ve tasted so far. IT’S THAT GOOD! Every bite was flavorful and fresh. Yum! 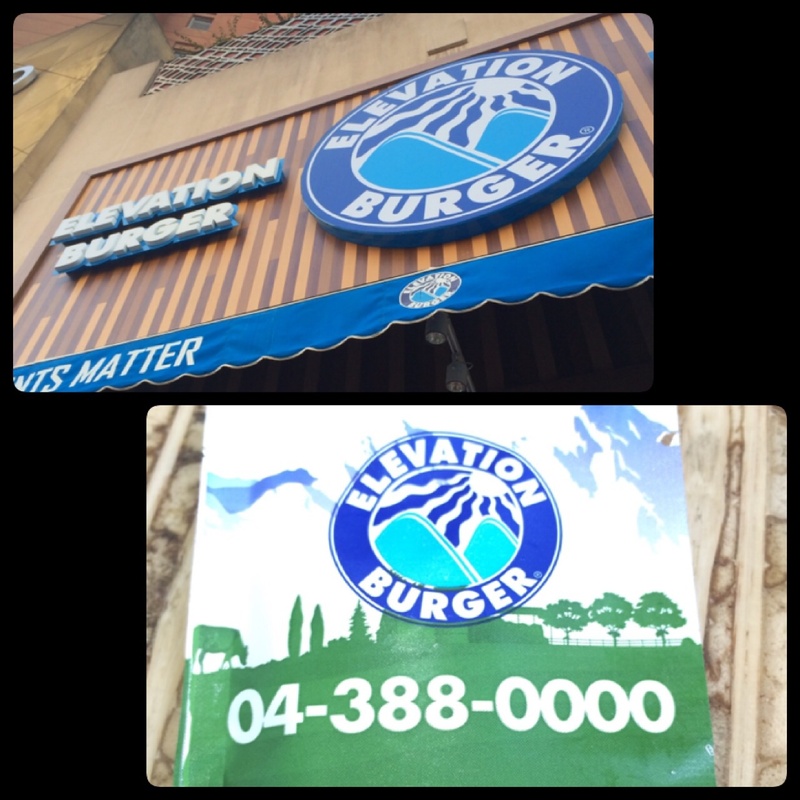 Their vision is to be much more than just a burger restaurant. It is a vision for an elevated product that is fresh and flavorful because it is made of the highest quality ingredients. 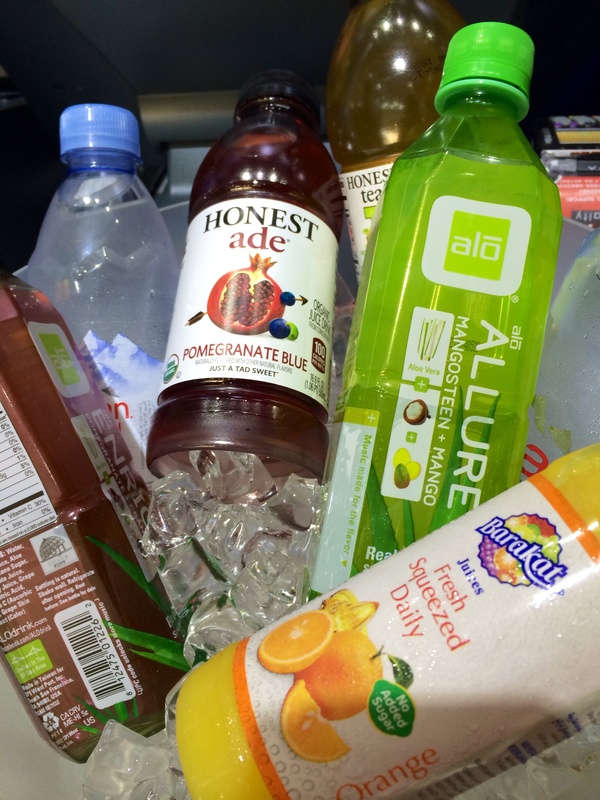 It is a vision for authentic, sustainable prepared food that is better for you and better for the environment. It is a vision for an elevated experience in a well-appointed and environmentally friendly setting. 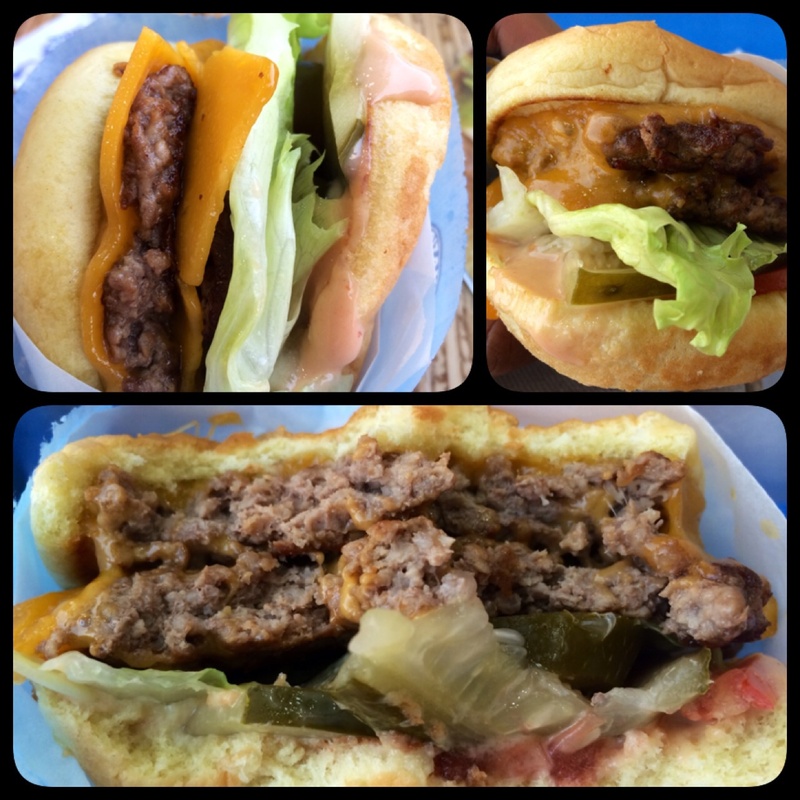 It is a vision for 100% USDA-certified organic, 100% grass-fed, 100% free-range, 100% ground-on-premises beef. For fresh-cut fries cooked in 100% heart-healthy olive oil. For hand-scooped shakes and malts and fresh-baked cookies. Here’s another look at their menu. 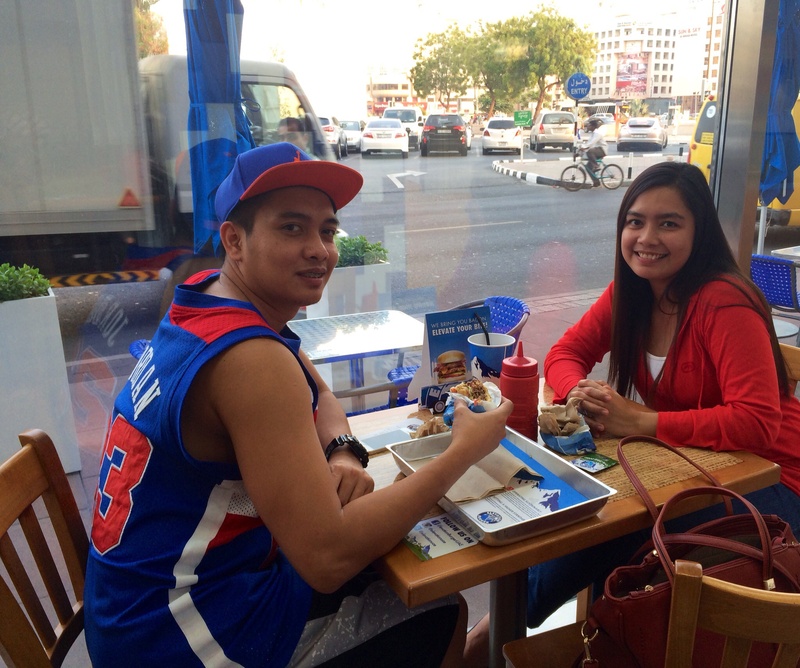 We leisurely devoured our meal over some good chat and people watching. 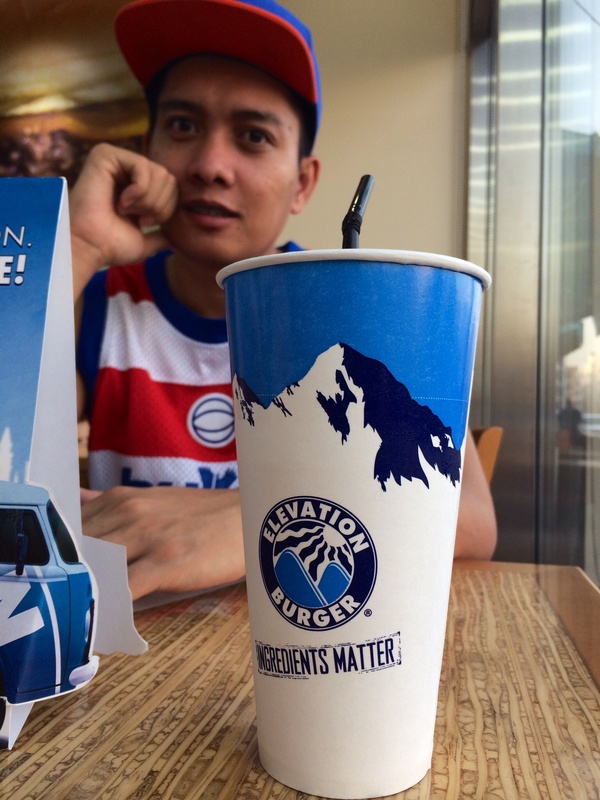 Both of us enjoyed our first Elevation Burger experience so I immediately bought another set of vouchers soon as we reached home. We will definitely come back and try other items on their menu. 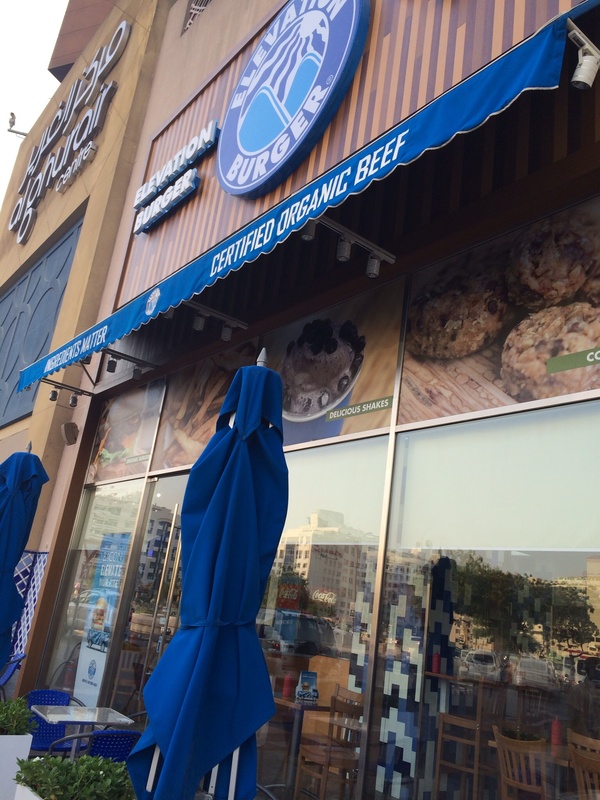 Posted in Dining in Dubai, Dubai, Dubai Guide, Food, Love, UAETagged 100% USDA-certified organic, Al Ghurair Centre, Al Rigga, Best burgers in Dubai, dubai, Elevation Burger, Organic burgerBookmark the permalink. Thanks for the blog. Its me on the cash station. Lol. Btw, I like your blogs since I started reading some of those right now. Keep on blogging Ma’am!